Energy Leadership™ is a process that develops a personally effective style of engagement that positively influences and changes not only yourself, but also family, friends, coworkers, and life as a whole. On an energetic and cellular level, catabolism usually refers to a breakdown of complex molecules, while anabolism is the opposite. Applying this principle to a person’s catabolic or anabolic energy, however, sheds light on the constructive and destructive forces inherent in and derived from positive and negative thoughts and beliefs. People experience catabolic energy by constantly reacting to their circumstances with worry, fear, doubt, frustration, anger, resistance, and guilt. And thoughts are indeed contagious. When even a few people in an group or organization have negative feelings, it can spread like a virus. "Group think" sets in, and families, or work environments, can devolve in a swirl of negativity, conflict, gossip, and contempt. Unresolved or buried thoughts and feelings can be at the heart of the catabolic energy in your life. It can show up as burn-out, pressure, stress, anxiety, addiction, or isolation. 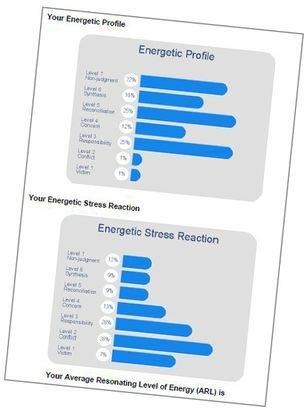 The Energy Leadership™ Index (E.L.I.) is a one-of-a-kind assessment that pinpoints your specific blocks to success, giving you a baseline for your current performance and situation. The realizations that you'll gain from the E.L.I. assessment and debrief process alone will change the way you view your world. The E.L.I. has been recognized by Forbes as one of the Top 10 assessments for understanding your strengths and challenges. The E.L.I. gives you a tangible measurement of your specific strengths, and what's blocking you from success. Along with the results, you will get a one-hour private debrief of exactly what the results mean to you, and ways to move forward. There are no limits as to the potential growth that you can achieve. Once you realize that your level of consciousness is directly related to your success, you can take back control of your life and actually love the journey. Contact Steven Reeder to schedule your E.L.I. assessment today!